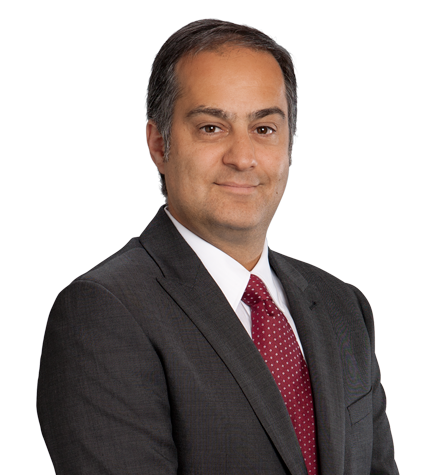 As a patent litigator, Babak Redjaian counsels and represents clients on matters involving a broad range of technologies, from mobile telephones to digital video recorders, game consoles, software, photolithographic equipment, video conferencing, disk drives and other computer peripherals. Babak has represented clients in district courts and before the U.S. International Trade Commission (ITC). Babak also regularly represents clients in post-grant proceedings before the Patent and Trial Appeal Board (PTAB). He has extensive experience in the planning, protection and management of intellectual property matters, including patents, trademarks, copyrights and trade secrets. He has prepared and prosecuted patent applications in diverse technical areas, from computer hardware and software to IP networks and routers, the internet, microprocessors, semiconductors, image and video compression, analog circuits and optics. Babak is registered to practice before the U.S. Patent and Trademark Office. Fraunhofer v. Sirius XM Radio Inc. Representing Fraunhofer in multi-patent action pending before the U.S. District Court for the District of Delaware and the PTAB. Fraunhofer had asserted several patents related to satellite radio technology against Sirius XM Radio. The cases are pending. Immersion Corp. v. Apple, Inc. et al. Represented Immersion in multi-patent action pending before the ITC, U.S. District Court for the District of Delaware and the PTAB. Immersion had asserted several patents related to tactile feedback technology against Apple products. The ITC case went to trial before the chief administrative law judge. The dispute settled when Immersion entered into settlement and license agreements with Apple, the terms of which are confidential. Immersion Corp. v. Sony Computer Entertainment, Inc. et al. (N.D. Cal.). Represented Immersion Corporation in a patent infringement suit involving tactile feedback technology in connection with computer simulations. After a five-week trial, a jury returned a verdict in favor of Immersion, finding all asserted patent claims to be valid and infringed and awarding Immersion $82 million in damages. Ultratech Stepper, Inc. v. ASM Lithography, Inc. et al. (N.D. Cal.). Defended ASML, one of the world’s leading manufacturers of photolithographic equipment, against claims of infringement of a patent related to photolithographic imaging. After a four-week trial, a jury returned a verdict in favor of ASML, finding all asserted claims of the patent invalid on multiple grounds. The jury verdict was affirmed by the U.S. Court of Appeals for the Federal Circuit. Polycom Inc. et al. v. Codian Ltd. et al. (E.D. Texas). Represented Polycom, one of the world's leading manufacturers of videoconferencing products, in a patent infringement suit involving several patents related to video conferencing technology. The case settled several weeks before trial. Terms of the settlement are confidential. EchoStar Technologies Corp. v. TiVo Inc. et al. (E.D. Texas). Represented TiVo in a patent infringement suit involving digital video recorder (DVR) technology. Assisted in filing reexaminations of the patents asserted by EchoStar and obtaining a stay of the District Court action pending outcome of the reexaminations. Juniper Networks, Inc. v. Toshiba America, Inc. et al. (E.D. Texas). Represented Juniper in a patent infringement suit involving laptop computers. The case settled shortly before trial. Terms of the settlement are confidential.